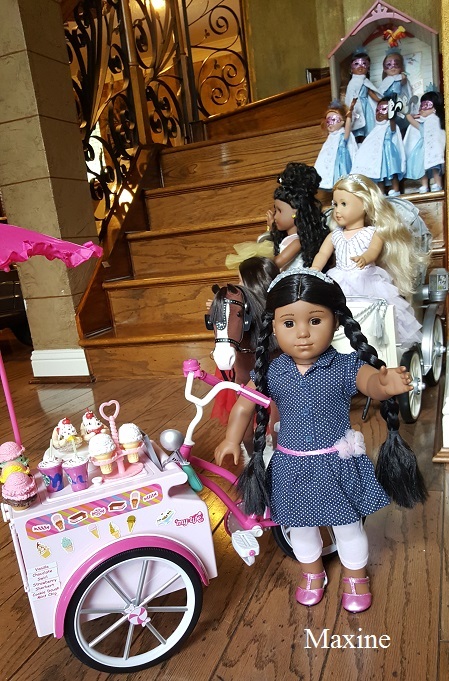 We are so excited about the Christmas Gift, that American Girl offered to each of it's Berry Members this year. They did an outstanding job this year, lots of exciting new releases, nice goodies bags and food at the Private Shopping Event, which included a free doll shirt, a coupon for an additional doll Souviner shirt and an awesome journal with stickers. The quality of this outfit is amazing. No velcro!!!!!!!!!! Real Buttons!!!!! The shoes are so pretty. I will buy one more of this same outfit, when it is available. 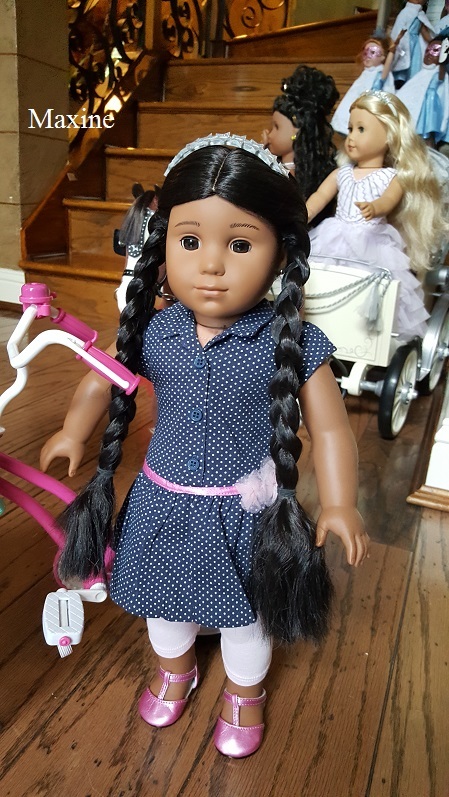 Thank you American Girl and thank you to Rhonda and LADL for allowing us to share these 5 wonderful years with you. You are a Jewel, is there any chance you could consider one more year? I picked the same outfit! 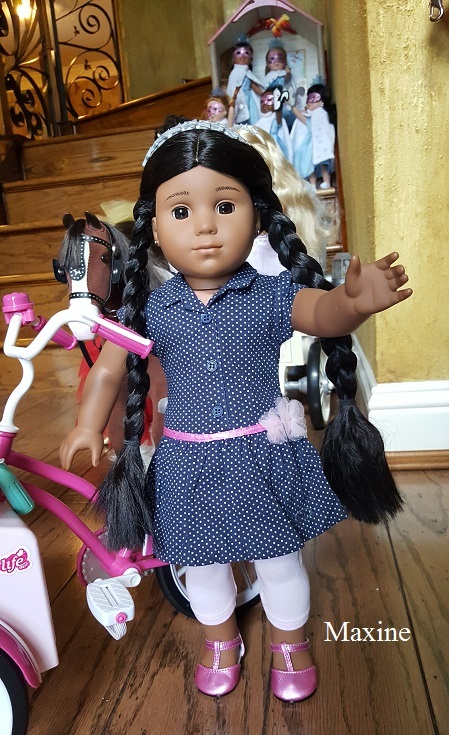 I agree, this was nice of American Girl. Thanks for the review Maxine! I loved that outfit when I saw it, but my daughter is super girly. She went with the pink ruffle outfit. They're both beautiful. Beautiful outfit. 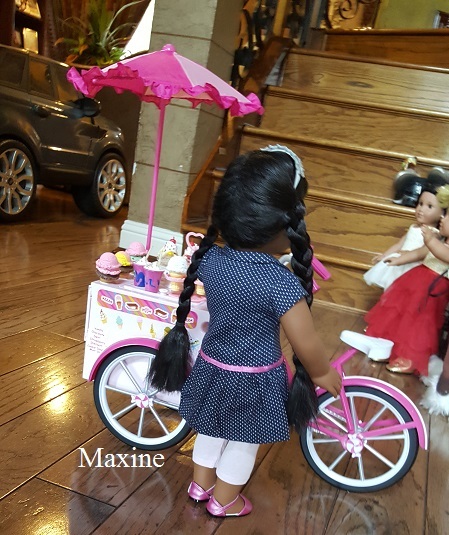 This blog is such a great resource to doll collectors or just anyone who has ever owned a doll or considering to. I got the one for Bitty Baby for my second youngest who loves pink. Nice of a company to honor it's customers who buy and therefore invest time and money on numerous inventory. I may do a review on the Bitty dress. Quality is just as nice and lovely. Yes, Rhonda, I agree with Maxine. Please reconsider at least one more year! I agree with the heartfelt requests for another year. This blog is beloved.